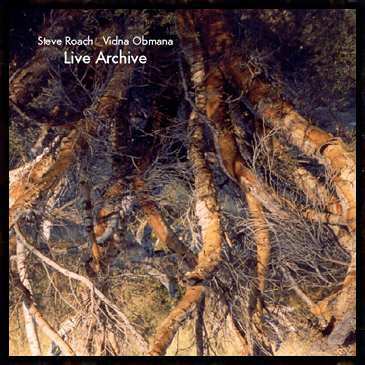 For Steve Roach and Vidna Obmana, this collection of peak performances captures the pure energy and emotion of their live adventures during 1997. The wide range of venues, traveling to the various countries, and above all their first tour together, fueled their mutual intentions and challenged them to create music that doesn't know the limits of jet lag, equipment failures and the physical limitations that arise when leaving the sanctuary of the studio. While their experience reached a level of spontaneous interaction in the studio, it was an entirely different dimension when performing on stage. It was as if they were communicating with each other blindfolded, focusing entirely on the sound appearing and being exchanged back and forth. Although they briefly discussed the structure of each concert, the magic came alive without formal preparation, relying on their mutual passion and instinct for sound.